ICOM NATHIST is the International Committee for Museums and Collections of Natural History of the International Council of Museums. The Committee for Museums and Collections of Natural History (NATHIST) of the International Council of Museums (ICOM) comprises about 400 institutions and individuals across the world. NATHIST supports the collection, preservation, research and interpretation of diverse biological, paleontological and geological collections, the scientific study of the world’s natural heritage and natural environments, and the engagement of schools and the broader public in these and related subjects. NATHIST provides a point of contact and a forum for professional interaction for all those who work in nature and science focused museums with a responsibility for, or affinity with, natural history collections as well as those who work in institutions with related aims, including zoological and wildlife parks, botanical gardens, aquaria, nature centers, paleontological and geological sites, etc. NATHIST has a brochure that members can download and print out (double-sided, tri-fold). The brochure is available at this link nathist brochure 2018. We update this periodically. There is also an occasional e-News posted to members and other interested people. To subscribe, follow this link. For questions or further, please use form on our contact page. PRESIDENT: Dr Eric Dorfman Eric is Director of Carnegie Museum of Natural History, in Pittsburgh USA, a 120 year-old institution housing a collection of more than 22 million objects. Prior to this, he was Director of Whanganui Regional Museum in New Zealand. Dorfman is an author of popular books on natural history, scholarly papers on museum operations, public programming, and the ecology of wetland birds. His most recent work is as editor of The Future of Natural History Museums, Routledge (Routledge, 2017).
. VICE PRESIDENT: Dr Isabel Landim Isabel graduated in Biological Sciences from the Federal University of Rio de Janeiro, has a Masters in Biological Sciences (Zoology), Federal University of Rio de Janeiro and a Ph.D. in Biological Sciences (Zoology), University of São Paulo (2007). 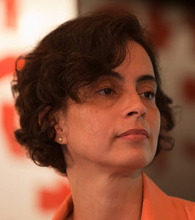 She is currently Professor of the Museum of Zoology of the University of São Paulo, Deputy Coordinator of the Nucleus of Research on Education, Dissemination and Epistemology of Biological Evolution (EDEVO-Darwin), Deputy Coordinator of the Post-Graduate Program in Museology of University of São Paulo, and Investigator on Museology in Emerging Centers of FAPESP (São Paulo Research Foundation). She has experience in Zoology with an emphasis in Systematic Ichthyology and undertakes research on Evolutionary Narratives in Natural History Museums.
. SECRETARY: Lynda Knowles has been legal counsel at the Denver Museum of Nature & Science in Denver, Colorado, USA since 2007. She is a graduate of the University of North Carolina-Chapel Hill and the University of Denver Sturm College of Law, where she was Editor-In-Chief of the University of Denver Journal of International Law & Policy. She is a volunteer judge for cultural heritage/international legal moot courts at the University of Denver and DePaul University. She is a member of the U.S. Lawyers Committee for Cultural Heritage Property and the American Inns of Court – Intellectual Property, Colorado. She has written articles regarding fossil protection and the auction of Native American artifacts in Europe. Lynda looks forward to contributing to the success of ICOM NATHIST, was a participant in the 2014 ICOM NATHIST conference in Croatia, which reignited her passion for the natural sciences and international cultural heritage protection. Lynda also serves on the ICOM NATHIST Illicit Trafficking Working Group.
. TREASURER: Jesse Rodriguez is an accountant and is currently the Director of Finance and Administration for the Carnegie Museum of Natural History in Pittsburgh, USA. He studied accounting and holds a Masters of Fraud and Forensic Accounting. He hails from Texas, USA, and has worked in the nonprofit sector for almost a decade. When not furthering the mission of the museum, he has a passion for advocating for veterans and serves on the Board for the National Coalition for Homeless Veterans.
. BOARD MEMBER: Clare Mateke Clare is the Keeper of Mammalogy at the Livingstone Museum in Zambia. 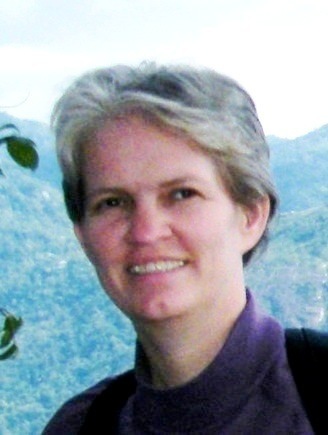 Her research interests include biodiversity, distribution and ecology of moths, bats, water birds and small carnivores. She is also the Secretary of ICOM Zambia. The Livingstone Museum, founded in 1934, is the oldest museum in the country and holds national collections of natural and cultural heritage. 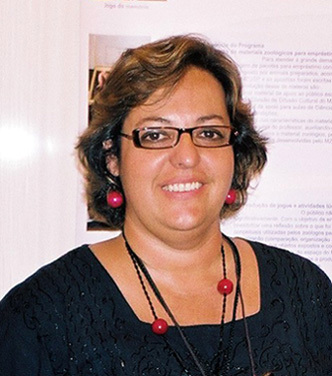 BOARD MEMBER: Dr Anna Omedes Anna has a PhD in Animal Behaviour (University College of Wales, UK, 1981). Director of the Natural History Museum of Barcelona since 1999 and author of its Museological project. Project manager of the new site, the “Museu Blau”, and co-curator and coordinator of the 3,000 sqm Permanent Exhibition “Planet Life” (2011). 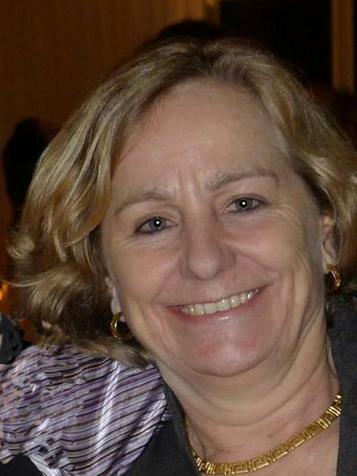 Member of the Executive Council of ICOM Spain between 2004 and 2010. Member of the Steering Committee of the Ecsite Nature Group. Author and editor of articles and books on Museology and Bioacoustics. 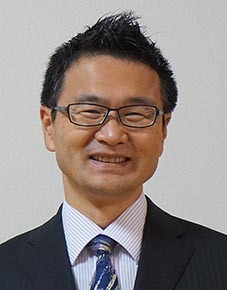 BOARD MEMBER: Dr. Osamu Kamei Osamu is the head of the Center of the History of Japanese Industrial Technology with the National Museum of Nature and Science, Tokyo. He has been working on research the history of industrial technology such as important one for integral part of knowledge and skills necessary to continued existence of all humankind and which contributes to understanding “past” and “future” of humanity with the nature. For research area, he focuses on local issues but collaborate with specialists in globally from perspective of the Anthropocene. He is a member of the Japan Museum Management Academy, and was the chief of secretariat for ICOM-ASPAC 2009, a member of the Museum Rescue Committee for the Great East Japan Earthquake 2011 and the working group for Museum Principle and Museum Ethics by the Japan Museum Association 2012. BOARD MEMBER: Dorit Wolenitz Dorit is the Director and Chief Curator of the Man and Living World Museum, a Natural History museum situated in Ramat-Gan, Israel. She has masters of Zoology and a diploma in Museology studies from the Tel Aviv University. She is the founder of the Education Department of the Zoological Center in Ramat-Gan. Since 2008 she has been the chair of The Israel association of museums and the chair of ICOM Israel, she is also a board member of the Forum of Culture and Art Institutes in Israel. As a curator she is involved in curating most of the museum exhibition and as a Director she is leading the museum policy structuring as a leading institute at the community for sustainable society. BOARD MEMBER: Dr Breda Činč Juhant Breda has a PhD. in Geological Sciences (igneous petrology, University of Ljubljana, Slovenia, 1999). She is employed in Slovenian Museum of Natural History since 1989 and acts as its Director (2002-). Breda is a member of ICOM (since 1993), a member of Slovene Museum Society and a board member (and vice president) of Slovenian Museum Association. In 2015 ICOM Slovenia succeeded to publish the ICOM Code of Ethics for Natural History Museums in Slovene language and she participated in editorial board. BOARD MEMBER: Christel Schollaardt Christel is Head of the Botanic Collection at Naturalis Biodiversity Centre in Leiden, The Netherlands, preserving the largest herbarium collection of the country, with over 5 million scientific and economically important plants as well as ethnobotanical material. Before this, she was at the Geldmuseum and its predecessor, the Royal Coin Cabinet. First as librarian and later on as collection manager and Head of the department of Collections and Research. From 2010-2016 Christel was President of ICOMON and is a Board member Section Collections Dutch Museumvereniging. BOARD MEMBER: Emlyn Koster Emlyn’s career began with faculty appointments at Montreal’s Concordia University and the University of Saskatchewan. His interest in engaging the public in global sustainability issues grew while conducting fieldwork for the Alberta Geological Survey at a UNESCO World Heritage Site. CEO appointments followed at Alberta’s Royal Tyrrell Museum of Paleontology, the Ontario Science Centre in Toronto, Liberty Science Center next to New York, and, since 2013, at the North Carolina Museum of Natural Sciences. Dr. Koster is a past President of the Geological Association of Canada and currently also an Adjunct Professor in the Department of Marine, Earth, and Atmospheric Sciences at North Carolina State University. BOARD MEMBER: Shih-yu Hung Shih-yu Hung is the Director of the National Taiwan Museum, Republic of China. He has been devoted his research and career on cultural planning and heritage conservation. He was the Head of Department of General Planning of the Ministry of Culture and has become Director of National Taiwan Museum since 2016. The National Taiwan Museum was established in 1908 and is the oldest natural history museum in Taiwan. It focuses its collections and research on anthropology, earth sciences, zoology, and botany of Taiwan. The Museum aims to broaden visitors’ view of nature and culture, and to enhance the strong bond between people and the environment. Hello. My name is Myandas. I’m a deputy director and marketing manager of Mongolian Museum of Natural History and member of ICOM including the NATHIST. I’m interesting about science communication for natural collections. And also I need the standard for museum building specially for Natural museum. Where I can find or to gate information about museum building standard.